… what would he thank God for? … what would he pray to God about us? … where would he encourage us? … where would he challenge us? We shared some of the answers on Thursday night at our praise and party. … he would give thanks for the fact we are a united family; for the faithfulness of those who have gone before us; for the faith of the church members; for the way we include everybody. … he would pray that we might include young people; reach out more effectively; grow in encouragement and fellowship; and help newcomers become disciples. … he would encourage us to bring others along to our church. … he would challenge us to get out of our comfort zone; to build up our small groups; to support one another better; to walk the walk and not just talk the talk. So having considered our answers to these questions, let’s see how Paul continued his letter to the Colossians. Now the news from Colossae was a decidedly mixed bag. There were some positives, but there were also quite a few negatives. I don’t know about you, but my natural reaction would be to home in straightaway on the negatives, and to focus on the things that needed immediate and urgent prayer. But Paul starts with thanksgiving and explaining to the Colossians just why he is so thankful to God for them. And I believe there’s an important lesson we can take away from the way Paul sets out his prayer. You see, in my experience, if you immediately focus in on the negatives and all that is wrong, you will rarely if ever move onto thanksgiving. Your one thought will be on what needs to be fixed, and you will probably miss what is working well. But if you start with what is good, you will be able to see the bigger picture of what God is doing, and you will naturally move into prayer, with a greater awareness that actually the Lord is already in charge and knows what He is doing. But as becomes clear from these opening verses, Paul had never met the believers in Colossae. As we read in verse 7, they had learnt the gospel from a chap called Epaphras whom otherwise we know very little about. Paul only knew what other people had told him about the church. So what could Paul give thanks for in a bunch of Christians he had never met? Well, verses 3 and 4 tell us: We always thank God, the Father of our Lord Jesus Christ, when we pray for you, because we have heard of your faith in Christ Jesus. That may sound obvious, but it seems to me we so often fail to appreciate what a wonderful thing is faith in Christ Jesus. Think for a moment about the person sitting near you this morning. Whoever that person is, whether you know them well or not, he or she is someone for whom Jesus died. Not only that but he or she is someone whom God called to know and love Him, and who responded in faith. Isn’t it truly wonderful that God our Heavenly Father has worked in that person’s life in that way? And in the lives of all of us who are here today? 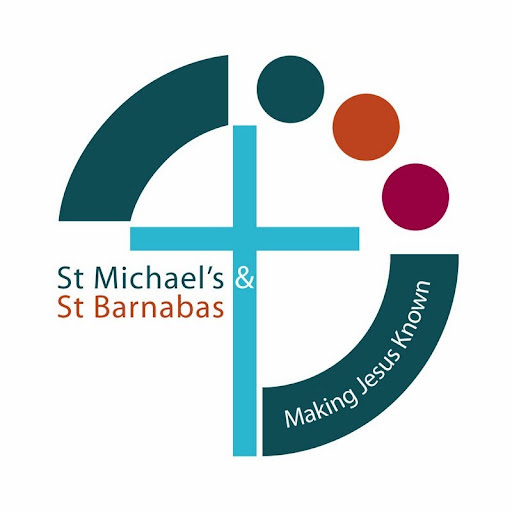 Yet I would ask, when was the last time you thanked God, the Father of our Lord Jesus Christ, for the great gift of faith He has given to us here at St Michael’s and St Barnabas? But there’s more: We always thank God, the Father of our Lord Jesus Christ, when we pray for you, because we have heard of your faith in Christ Jesus and of the love you have for all the saints. Now when we hear the word “saints” it’s so easy to imagine that everyone in Colossae wore a halo or were particularly good or special people. But as we saw last week the reason why Paul calls the believers holy and faithful brothers or saints is not because they were somehow different from us. That term refers not to our own merits but the identity we receive in Christ when we believe and trust in Him. Despite our weaknesses, our shortcomings, our failings, God still counts us as fit to stand in His presence because of the death of His Son Jesus. So from that perspective we are as much saints as those first believers there in Colossae. And I am sure that because the believers in Colossae were much like us, some of the saints were in fact quite awkward customers. Maybe some always insisted in sitting in the same place. Maybe some always grumbled and complained. Maybe some always thought they were right. Yet the church showed love for not just a few of the saints, or some of the saints, but all the saints. That’s why Paul was so thankful. Because when a church is showing that kind of all-inclusive love that takes in everybody, that’s a real sign God is at work, that the church has taken on board the good news of Jesus Christ and knows what it is all about. That’s the point Paul makes in verses 5 and 6. All that he has heard about the Colossians’ faith and love tells him they have understood the hope that is stored up for you in heaven and that you have already heard about in the word of truth, the gospel that has come to you. In other words, the Colossians heard the gospel of Jesus who died and rose again for them. They received a hope that turned their lives around. And the evidence of that turnaround was not simply in the message they proclaimed, or the way they worshipped, but in the faith that held firm in every situation, and the love that was shared with every believer. And in fact what has happening in Colossae was not an isolated event. All over that part of the Roman Empire little communities of faith and love were springing up, as groups of believers heard about and responded to the good news of Jesus Christ. God was moving in a new and exciting way to build His church, and as we saw earlier, whole networks of support and prayer were developing across congregations, even those that had never physically met each other. That’s why in verse 6 Paul goes on to give thanks that All over the world this gospel is bearing fruit and growing, just as it has been doing among you since the day you heard it and understood God’s grace in all its truth. Now I am sure the church at Colossae already knew about the growth and spread of the gospel, and was already part of these networks. But it was important for them to hear Paul’s words. After all, it can be so easy when there are issues and problems to imagine that your local church is on its own, weak, isolated and vulnerable. And the evil one would love to discourage us and remind us that in this country we are part of a divided, declining movement. The reality is, however, that nearly 2000 years after Paul wrote these words the gospel is still bearing fruit and growing all over the world. Even today there are new communities of faith and love springing up in all kinds of places. So when some of us visit Thika diocese in October, for example, one benefit of our visit, I hope, will be to remind everyone here we really are part of a growing global church and there really is so much for which we can thank God. But of course church growth doesn’t just happen. It needs the vision and the dedication and courage of individuals who hear God’s call to go and proclaim the good news. So before finishing his thanksgiving, Paul quite rightly wants to single out this chap Epaphras for praise. What do know about Epaphras? Well, he was the first person to share the gospel with the Colossians. Verse 7: You learned it (that is, the good news of God’s grace) from Epaphras, our dear fellow-servant, who is a faithful minister of Christ on our behalf and who also told us of your love in the Spirit. Paul also tells the Colossians, towards the end of the letter, in chapter 4, verse 12 that he is always wrestling in his prayers on your behalf. Epaphras like Paul was clearly someone who had a deep affection for the churches he planted and prayed regularly for them. And just like Paul, Epaphras was a prisoner for the Lord at the time this letter was written, as the letter to Philemon tells us. But beyond that we know absolutely nothing about him. Epaphras hasn’t gone down in history as a major figure. I don’t know of any churches dedicated to St Epaphras. Yet it is so important we honour and thank God for those who have faithfully passed the good news on to others. Their example should act us as an encouragement and a challenge to us to follow their faithfulness, and to pass on the good news in the same kind of way. So, to sum up, Paul thanks God for all that He is doing in the church in Colossae. He thanks God for what He is doing across the world. And He thanks God for the example of the person who first shared the gospel with the Colossians. That strikes me as not a bad model of thanksgiving to follow. Perhaps there’s a lesson here for the way we too should begin our prayers. And then having given thanks, Paul tells the Colossian church what he is praying for them. Now the more you think about, there are just so many different things you could pray for your local church – more numbers on a Sunday, perhaps, or more money in the bank, or more workers in the harvest field, and all of those are probably good and right concerns. But Paul has one overriding concern for the church above all other. Verse 10: And we pray this in order that you may live a life worthy of the Lord and may please him in every way. That was Paul’s prayer priority for the Colossian church every time he prayed for them. And why was this particular prayer at the top of the list? The answer goes back to all that he said earlier about faith in Christ Jesus and love for all the saints. You see, God doesn’t want a church that just talks about the good news, or a church that is good news only on a Sunday morning. He wants a church that pleases Him in every way: in the decisions that we make; in the conversations we have down the pub; in the things we watch on TV; in the way we spend our money, to name but a few examples. After all, what is the evidence that the good news of Jesus Christ is good news? It’s us. We are all walking, breathing adverts for Jesus, whether we like it or not. So – exactly as we said on Thursday evening – we need to walk the walk, and not just talk the talk. To those outside the church, of course, the message we proclaim is at best just an interesting theory, at worst a load of hot air or wishful thinking. The only way we will convince them otherwise is if our words leads to actions, if there is something so radically different about those who belong to the community of St Barnacles they can’t help sitting up and taking notice. So how exactly do we live a life worthy of the Lord and … please him in every way? If you’re anything like me you will know that within a few minutes of waking up each day you have almost certainly done or said or thought something that hasn’t exactly pleased the Lord, and there are parts of your life which certainly aren’t yet right with Him. Well, let’s listen carefully to what Paul actually says in verses 9 and 10: For this reason, since the day we heard about you, we have not stopped praying for you and asking God to fill you with the knowledge of his will through all spiritual wisdom and understanding … in order that you may live a life worthy of the Lord and may please him in every way. Paul knows that the only way we are going to effectively live out the good news of Jesus Christ is through the power and strength of the Holy Spirit. It’s not by us trying harder and harder, or relying on our strength and energy. It’s by God filling us with the knowledge of His will so that we can understand what He wants of us and just as importantly so that we can have the strength to obey Him and do what He says. Now on first hearing what Paul is praying can all sound very dry and technical. How does what he pray connect with the reality of our everyday lives? Well, think for a moment where you will be this time tomorrow. You might be at school, or at work, or at home, or at the hospital or wherever. Have you ever asked God to give you spiritual wisdom and understanding that you might truly be the good news of Jesus Christ in that situation? Paul, you see, isn’t asking us to pray theoretical prayers that are far removed from the reality of our daily lives. On the contrary He is asking us to make ever closer connections between what we believe and what we do day by day, hour by hour. He wants us to realise that wherever we go, whatever we do the Lord is always with us by His Holy Spirit and that the Lord wants to give us knowledge of His will. And just as he prayed for the Colossians, so he also wants us to pray one for another that God will make His will known to each one of us as we go about our daily lives. So what, then, does it actually mean to live a life worthy of the Lord and please Him in every way? Here we hit one of the major issues in understanding Paul’s letters. Because so often when he hits full stride, he ends up getting carried away and writing some very long sentences which can be hard to follow. But when we step back for a moment and break down Paul’s prayer into its component parts, we can see that in essence he prays three things for the Colossian church. Firstly, that they might be bearing fruit in every good work, growing in the knowledge of God (verse 10). Now you may recall that we already came across the idea of bearing fruit in verse 6 when Paul talked about the gospel bearing fruit and growing all over the world, and indeed we saw how Paul was so thankful for all that God had done so far. But Paul isn’t content for the church to stay still. He wants the church to continue to grow and He wants the gospel to take root and bear fruit in even more people’s lives. Is that your desire, I wonder? In my experience once churches get established people can get comfortable with a certain size of congregation or with a certain way of doing things. But – again, exactly as we thought on Thursday evening – God wants us to get out of our comfort zone. He wants us to provide practical demonstrations of our love and faith through good works that reveal Jesus to people who have never heard of Him. He wants us to keep up our spiritual hunger by seeking to know Him more and more, and to put that knowledge into action. Because according to the New Testament that is the best growth strategy for the church, by ordinary people doing extraordinary things that cannot fail to point to Jesus. Of course living a life worthy of the Lord isn’t always easy. We will encounter opposition from those who hate us, apathy from those who just can’t be bothered to engage, misunderstanding from those who can’t grasp what we talking about. That’s why the second part of Paul’s prayer is that the Colossians might be, in verse 11, strengthened with all power according to his glorious might so that you may have great endurance and patience. Because there will be times no matter how much you are relying on the Lord and seeking to do His will when you will wonder whether it’s all really worth it: when your family refuse to have to do anything with your faith; when the person you thought was interested just disappears; when an experienced believer loses their way and seems to be drifting away from the Lord. How much at those times do we need to rely on the power of the Holy Spirit to give us great endurance and patience! But whether we see the growth we long for or not, Paul’s third request for the Colossians still holds good, that they might be, verse 12, joyfully giving thanks to the Father, who has qualified you to share in the inheritance of the saints in the kingdom of light. Because no matter whether times are good, or times are hard, the good news in which we believe and trust still remains the same. Verses 13-14: For he has rescued us from the dominion of darkness and brought us into the kingdom of the Son he loves, in whom we have redemption, the forgiveness of sins. And that is an objective reality which remains the same in every season of life. You, I, are thanks to God’s grace members of His kingdom. We have been brought out of darkness into the light. We have been forgiven all our sins through the death of Jesus Christ. And we have an inheritance which is firm and secure, beyond the reach of whatever this life throws at us. This is why Paul takes the Colossians back to the theme with which he started – that of thanksgiving. Because when our lives are full of thanksgiving that’s when people can see that the Christian faith is good news- not miserable news that makes us sad or worried, or dull news that makes us all religious and respectable – but good news of a God who loves us, who cares for us, who has given us forgiveness and joy and peach and so much more. So today let’s pray that when we go out from here we really are living, breathing adverts for the good news of Jesus Christ. Let’s not just talk the talk, but walk the walk, encouraged and supported by one another so that faith in Jesus Christ and love for all the saints grows and grows, and we might see the gospel bear fruit not just in other parts of the world, but right here, right now in Stoke and Devonport. For His name’s sake. Amen. This entry was posted on Monday, June 25th, 2018 at 9:22 am and is filed under Colossians. You can follow any responses to this entry through the RSS 2.0 feed. Responses are currently closed, but you can trackback from your own site.